Here’s the shorthand guide to what we are passionate about! We both went back to university! Congratulations are in order to Stephen, whose capstone project was just accepted. He should be receiving his diploma soon! His degree is in Business-IT Management. Wendy’s degree is in Business Management, and she is working on her capstone now and has one other class to complete for graduation. Stephen rides a motorcycle full-time. Wendy leased a full-electric vehicle for three years while she had a work commute. Both of these transportation options provide access to the coveted carpool lane as single occupant vehicles. We are sustainable living advocates and strive to reduce our carbon footprint and show others how they can, too. 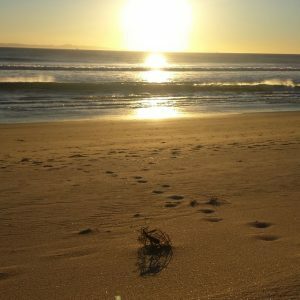 You can follow this effort on the West Coast Green Living page on Facebook, and there’s a blog but it’s been neglected. 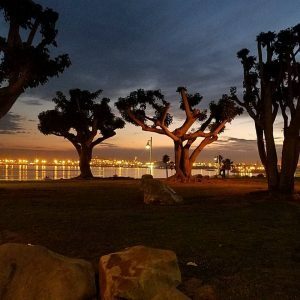 Travel is important to us and we’ve made a point to cover a lot of ground in the 3+ years since relocating to the Los Angeles area. 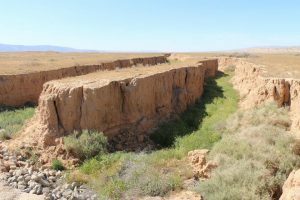 We’ve been to numerous national parks and monuments, and covered a large radius of California from our home on the coast, from Monterey to Mexico. Oh, and don’t forget Catalina Island! Wendy has been a Sirius satellite radio subscriber since 2003 and her favorite channel is The Pulse. She hates talking with her music, and says it’s worth it to pay to not have ads. Steve listens to music via Google Play. 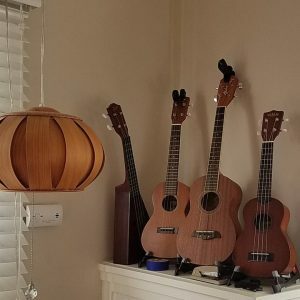 We started playing the ukulele in 2015 and now own 5 ukuleles between us. They’re perfect for tiny home living – they’re small, portable, and can hang on the wall. Wendy has a piano in container storage in Seattle and has decided she’s finally ready to “let it go”. Speaking of tiny homes, on our journey we’ve managed to go from an over 1700 square foot home with a huge double garage down into 450 square feet (with one home of 750 square feet in the middle of that). We would like to build a THOW (tiny home on wheels) someday and have a mobile lifestyle. Granted, we do have a 10×5 storage space to store things not essential to daily living. And two containers in Seattle, which we are ready to go through and sell most of the contents of. 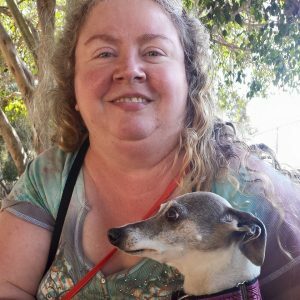 We enjoy spending time with our furkids at home – an Italian greyhound named Sophia, and a giant cat called Imp (and on occasion some other names). We celebrated our 19th wedding anniversary in 2016. 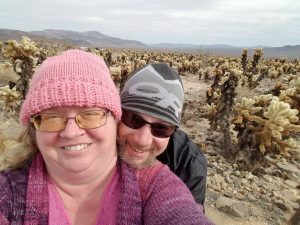 Wendy and Stephen visited Joshua Tree National Park over Thanksgiving weekend in 2016. The desert is fascinating! 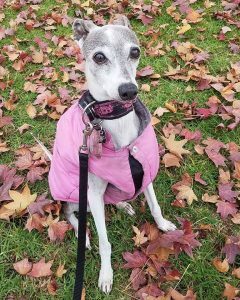 Sophia was adopted through an Italian Greyhound rescue group in Seattle when she was 2 years old, in 2005. Life hasn’t been the same since! 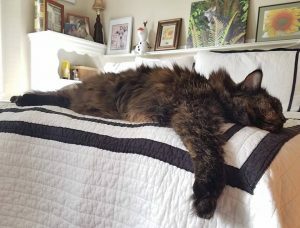 Imp (full name Impressionist Painting) was rescued as a kitten from a shelter in eastern Oregon in 2006. 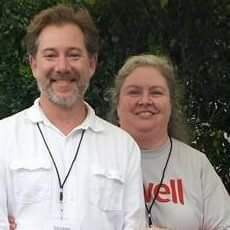 With the piano in storage in Seattle and the guitars sold, Wendy and Steve took up ukuleles in 2015 for a creative outlet. They’re small and can hang on a wall, so don’t take up much room! Important when living in a tiny home. 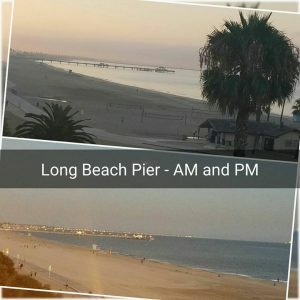 Long Beach Pier, morning and night. 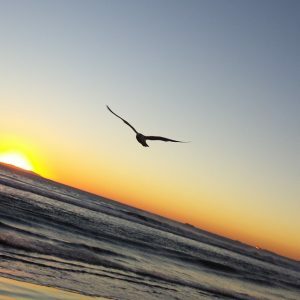 We have also lived in Huntington Beach and San Clemente. 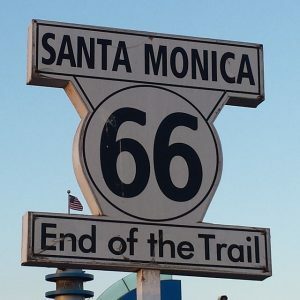 The end of Route 66 in Santa Monica. We have driven all of Route 66 except for the western half of NM, thru AZ, and thru CA to Santa Monica. 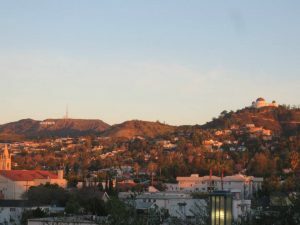 The Griffith Observatory and the Hollywood sign, as seen from Barnsdall Art Park, home of Frank Lloyd Wright’s Hollyhock House. Volunteered for Dwell Magazine’s home tour! Our “Zombie Apocalypse Escape” vehicle. 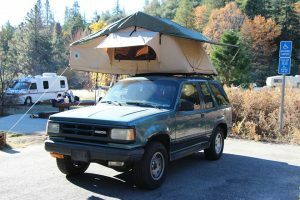 Old enough it is easier to maintain, and with a roof top tent. Zombies can’t climb ladders, right? 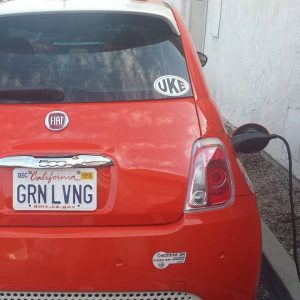 We leased a Fiat 500e full electric vehicle for three years to help with my commute. Sophia and Wendy at the dog park. 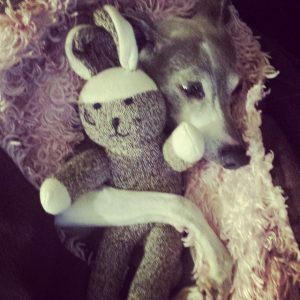 Sophia and her sock bunny. Too precious!